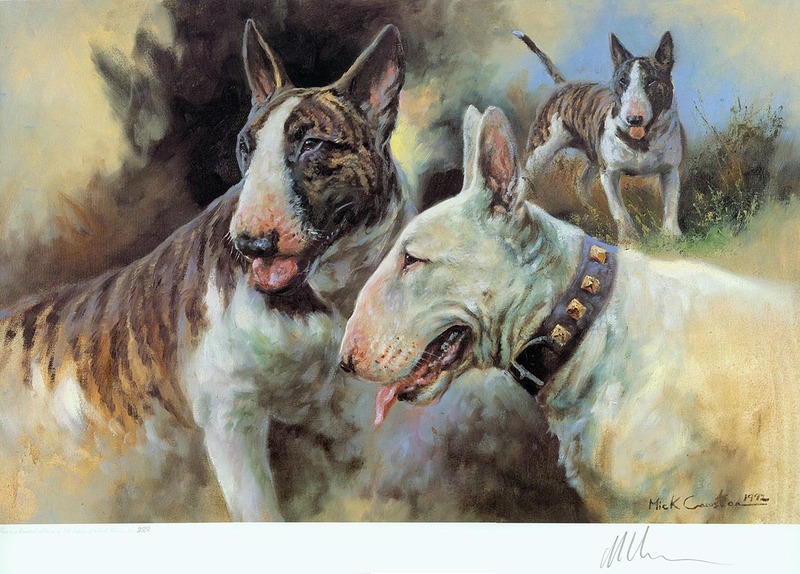 Bull Terriers Limited Edition FRAMED Print by Mick Cawston VERY RARE ONLY ONE AVAILABLE - #427 of an edition of 850. Image measures 12" x 18", is printed on heavy paper, FRAMED using acid free archival materials. Price reflects extra, super-duper protective packaging to ensure it arrives undamaged. ***NOTE: Picture of framed print is TERRIBLE. Please ignore the reflection in the glass. Frame is antiqued gold wood with a bit of an ornate pattern to it. It is with great sadness and regret that we inform you of Mick Cawston's sudden and untimely death. 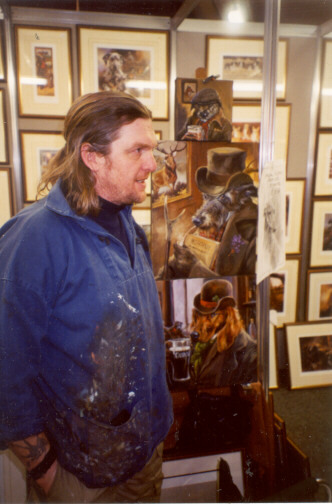 Way too early in life at the very young age of 47, this brilliant canine and wildlife artist passed on. Mick was "discovered" at Covent Garden in London where he would do charcoal and pastel sketches of you for about $35. Mick is best known to us as a brilliant painter of canines for he captured the essence of the dog, whether it was doing what it was bred for or perhaps anticipating snatching a cookie from a carelessly left plate. The wild freedom of Mick's life on the moors of southern England was reflected in his work, bringing a unique perspective to his art. Mick's quirky sense of humor as well as his deep affection for the animal kingdom was transferred to his art. He created a separate world in which the dog lived and was boss. 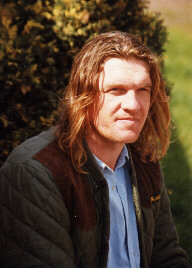 Mick's art and his life reflected his love of nature and his activity to help preserve the countryside as it has always been. His fans loved him for that and constantly kept him in the top ten selling canine artists in the world for almost two decades. your questions about his art or the breed you fancy. He will be sorely missed by those of us who appreciate his art. and was teaching others the joy of expression through art.